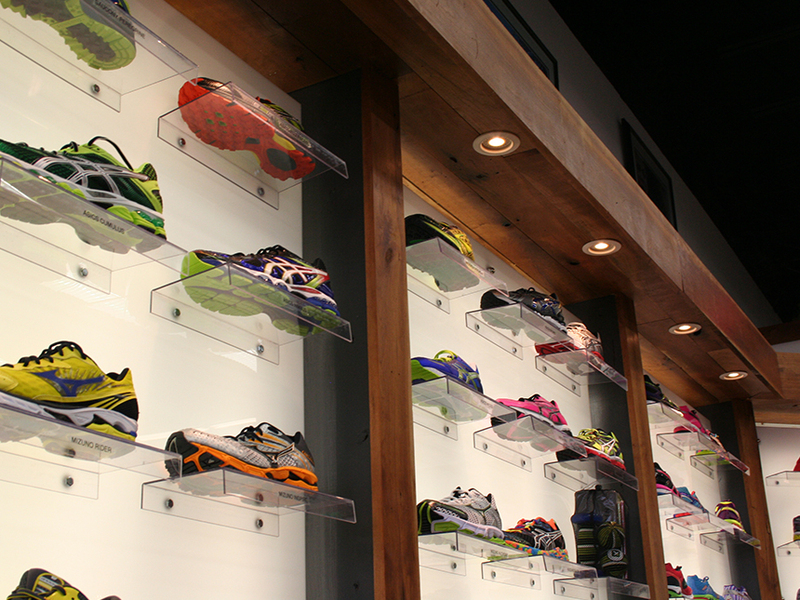 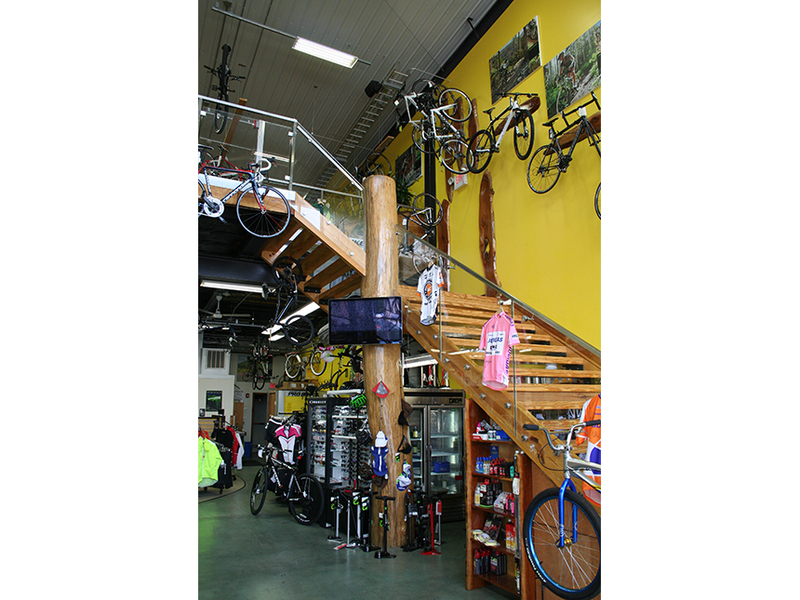 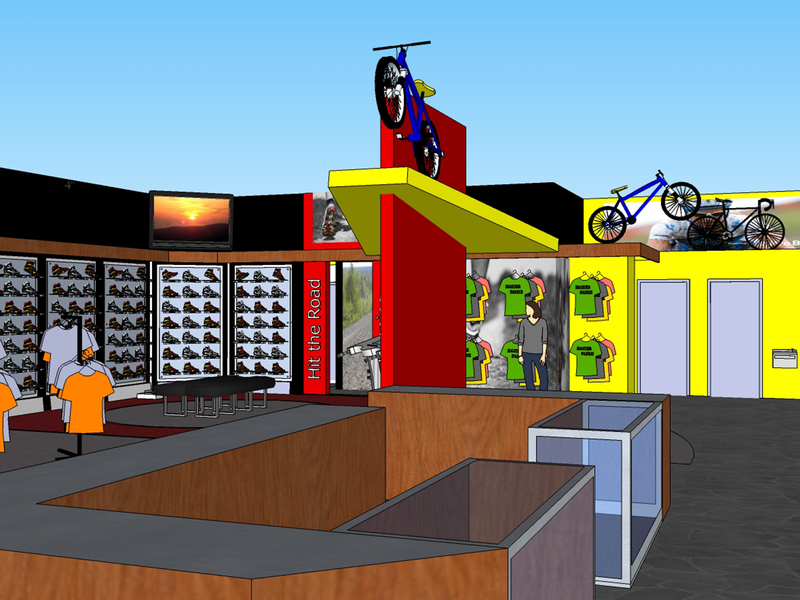 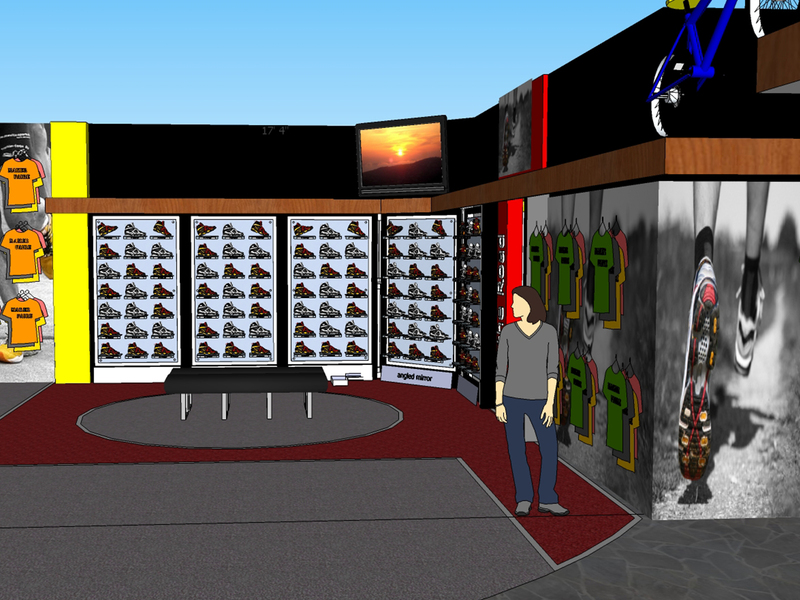 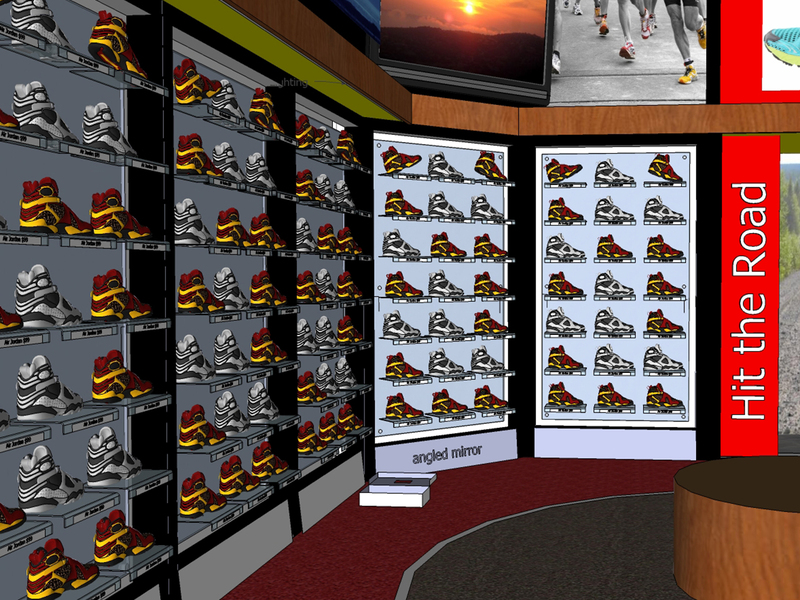 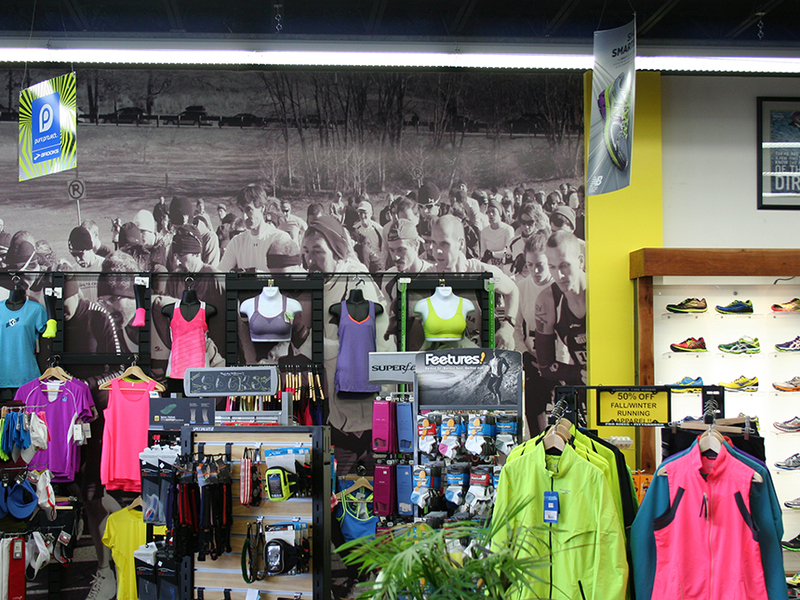 A tenant fit-out of an existing retail space to accomodate a new two-story bike shop. 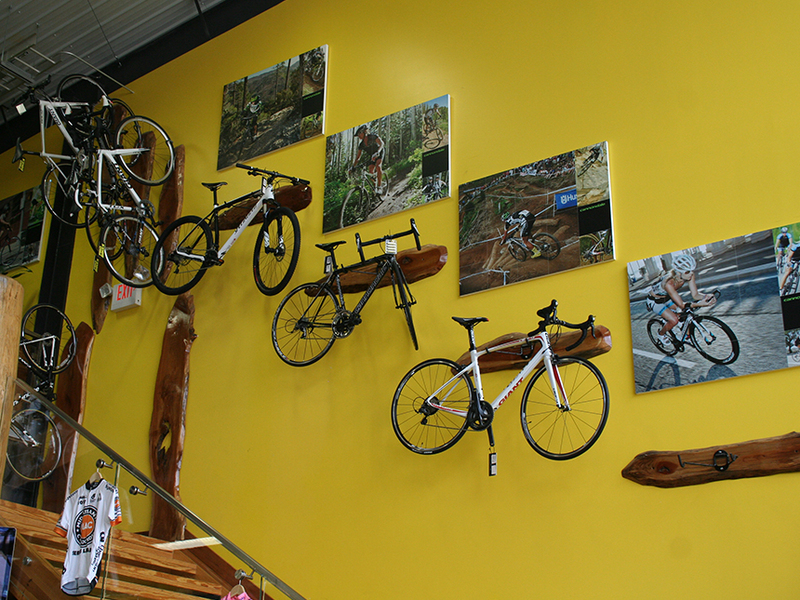 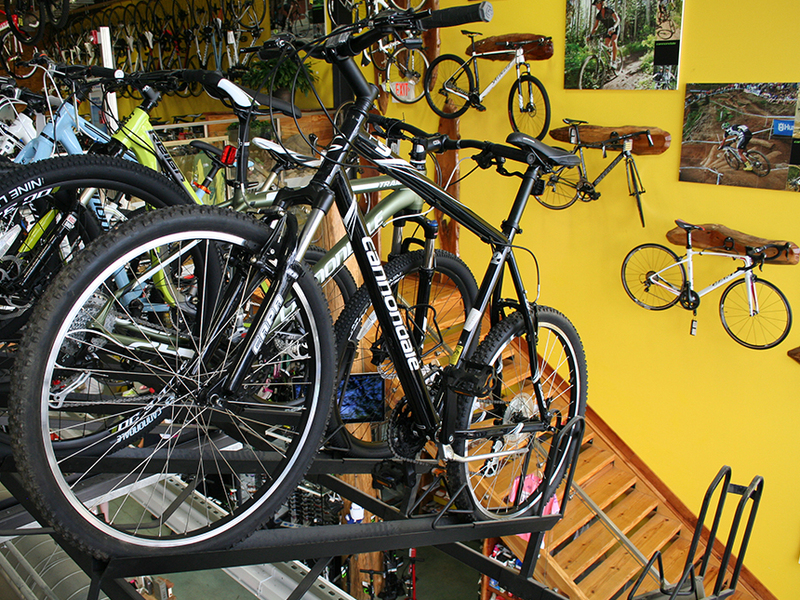 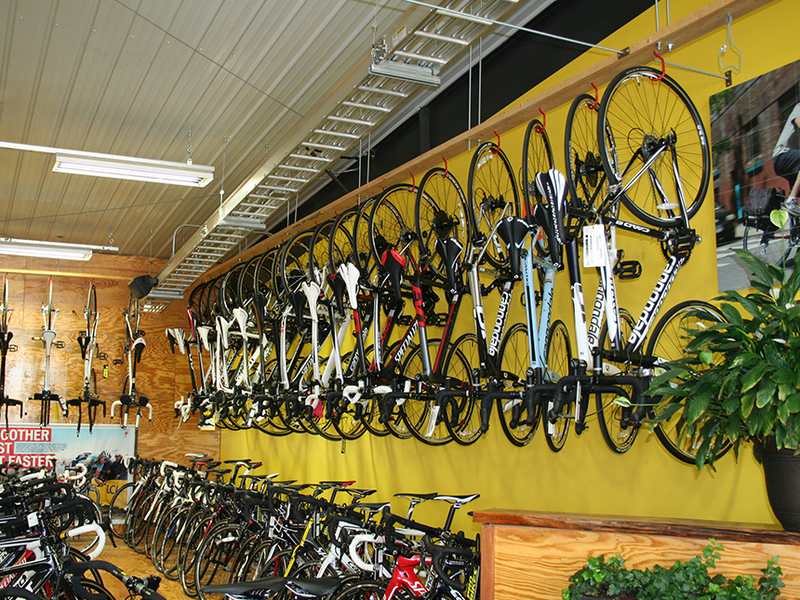 An extensive study was conducted on ways to differentiate the bike shop from its competition. 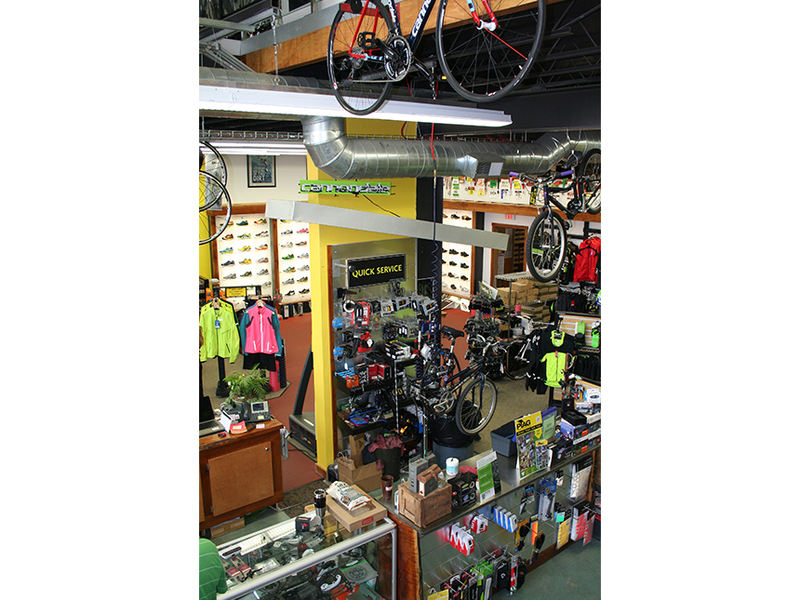 The use of bright colors, super graphics, and custom millwork help to bring the space to life and create an interactive environment for staff and customers.